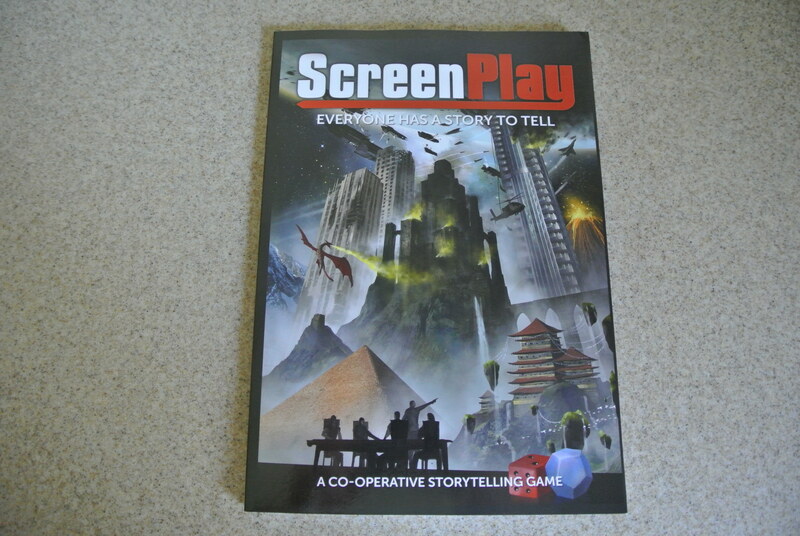 Hey, ScreenPlayers. Warden here. I mean, Todd. Sheesh, still takes getting used to not using that name anymore. Anywho, I wanted to make this announcement extra personal because as someone who used to work as a press operator I’m very fond on physical books. Call them old-fashioned relics slowly going the way of the dodo, but there’s nothing like holding paper in hand and flipping through with the greatest of ease. 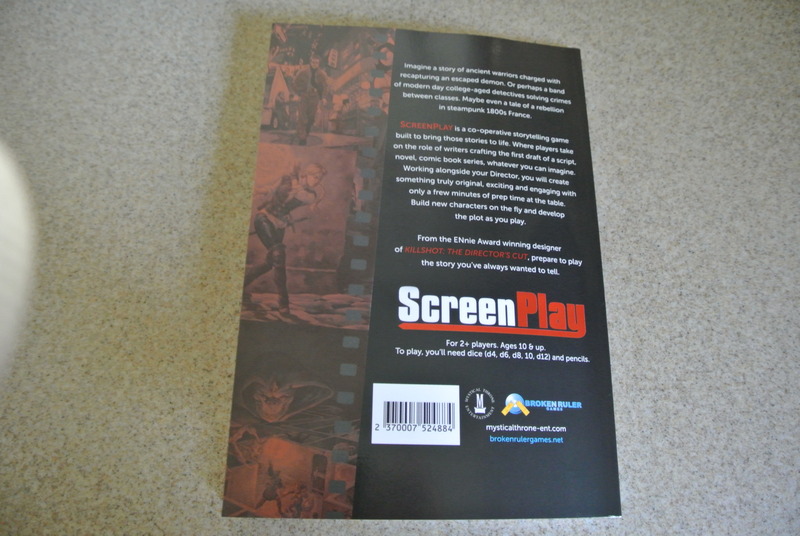 That’s why I’m very happy to announce ScreenPlay is now available in print through DriveThruRPG’s print on demand program. 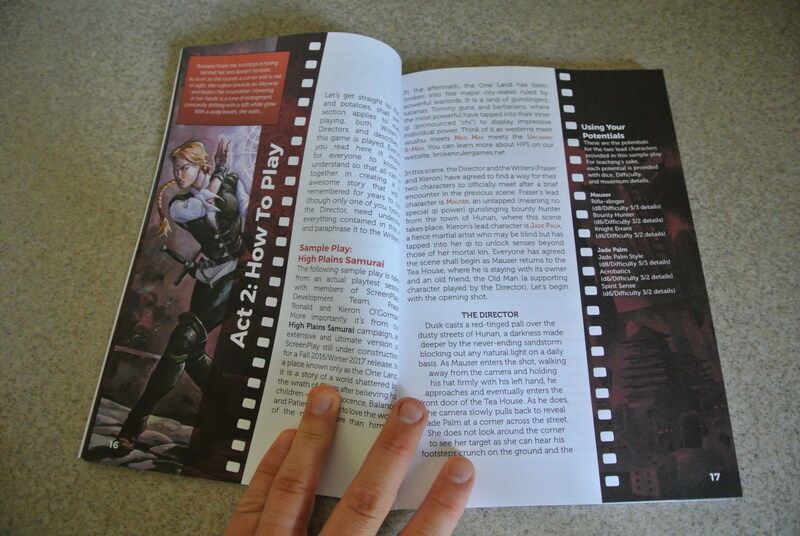 And the best part is the cost: only $9.99 US for 92 pages of full colour, full bleed, full ScreenPlay sweetness. This also covers a free PDF of the game if you’ve been sitting on the fence to keep you busy until that beautiful softcover addition to your gaming shelf arrives. Click here to buy your copy from DriveThruRPG or here to get it from RPGNow. There’s more big news for the future of ScreenPlay on the way – stay tuned! Check out these preview photos in the meantime (and let’s give a big round of applause to my publisher, Aaron Huss, for the fantastic hand modelling). Look at the colour and images going right to the edge of the page! 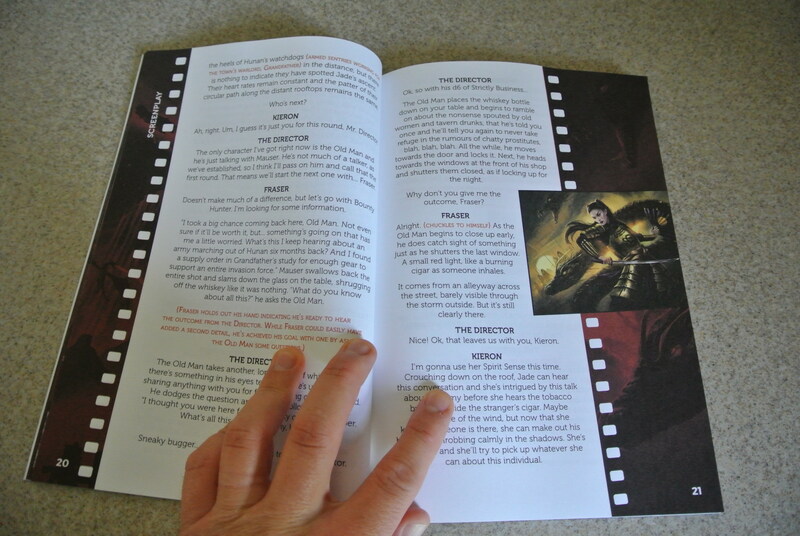 ← ScreenPlay On Sale Now!